Wherever Daniel Castro entered the vast continuum of blues music, he certainly looked back before forging forward with his style, bent through the affects of life. The new release from The Daniel Castro Band, “Desperate Rain” offers a collection of original songs influenced by Muddy Waters, B.B. 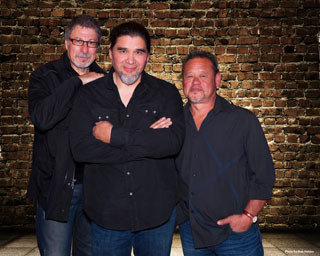 King, the 60’s British blues invasion among others, delivered through a modern, contemporary blues trio seeking out creative methods of releasing the music’s potential. Admittedly, I have a preference for the trio format in contemporary blues music, requiring each musician to be fully engaged with each other. The tautness of these musicians is clearly expressed in “Almost Gone”, with hints of Clapton-Bruce-Baker of Cream and more recently, the John Mayer Trio. Drummer David Perper’s driving intro foreshadows what follows and Daniels’ stylized transition seems to search for the bass of Johnny Yu before shifting into a relentlessly resolute rhythm throughout the final note. The individual and collective skills of this trio is also exposed in Daniel’s classic “No Surrender”, adding some nice vocal harmonies to their efforts. She knows how to treat me right. Tunes like these can still drive one to level-8 on the treadmill, get you to dance for first time in years and amp up the car stereo of youth, quickly turning down the volume during red lights to be less conspicuous. This time through, one’s sense of the musical nuances, the arrangements and the musicians’ intuition are more acute. The result is tracks like “Worried Baby Blues”, modeling the classics, now wrapped in a clean, present-day package that enhances Daniel’s unique style. Dave Rubin of Guitar Player Magazine described Daniel as “one of the greatest guitarist to come bursting out of the highly competitive West Coast scene.” He spent his childhood in the L.A. area listening to the likes of B.B. King and Albert Collins, paying his dues in the South Central L.A. blues clubs, backing many great artists of the time. 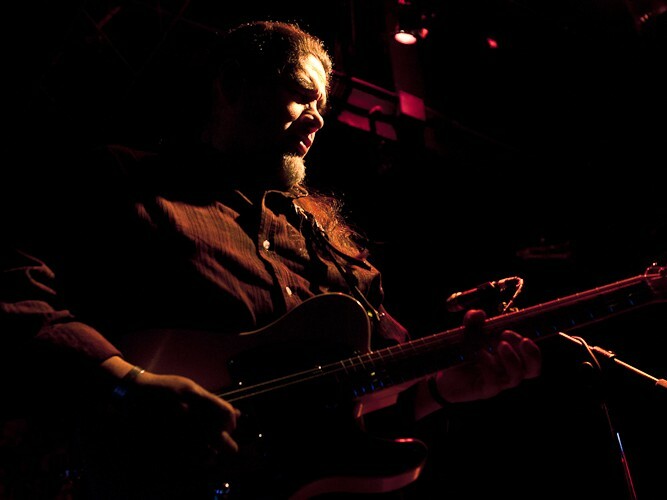 After relocating to the San Francisco Bay Area, Daniel soon became a fixture among North Beach blues artists, forming his first band in 1995. Those early days in North Beach are celebrated in “Johnny Nitro”, a tribute to a fellow musician. The new Daniel Castro Band evolved as a trio after reuniting with bassist Johnny Yu, who also contributed to the new arrangements. Veteran drummer David Perper later became the last piece of the puzzle, commencing a new synergy that projects the passion and control defining Daniel’s music. The opening phrases of the title track, “Desperate Rain” expose a more graceful and precise trio, with a nice interplay between guitar, bass and percussion. The piece intensifies into, instrumentally, one of their most complex arrangements. The harmonic opening of “Shelter Me” evolves into a persuasively stylized groove similar to Warren Zevon and later Bob Dylan recordings. The depth of Daniel’s guitar style is evident here, both ambitious and restrained. The down-tempo, haunting “Dark Train” reminds us of our mortality and of the thin line upon which we all walk. The guitar solo, woven with Mid Eastern nuances, strikes a chord with the great Eric Clapton solo recordings. As the final track ends, we leave with a firm impression of Daniel’s multifarious guitar style. Castro’s life has been about “paying dues”, a thread woven within his music. This recording with the new band is the result of hard work and persistence with assembled musicians who are capable of presenting the music with the respect it deserves. 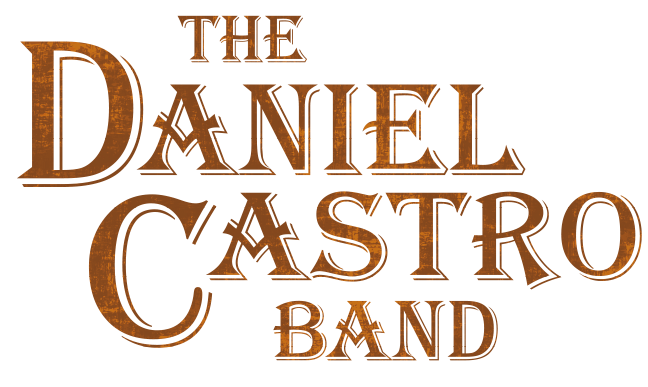 The Daniel Castro Band consistently performs in Bay Area blues clubs and is just the thing for the “escape night” that you deserve. Need we all be reminded that nothing is more inspirational and therapeutic than the “blues”. This entry was posted on Tuesday, September 3rd, 2013 at 5:54 am	and tagged with daniel castro band, drummer david, john mayer trio, vocal harmonies and posted in Daniel Castro Band, music. You can follow any responses to this entry through the RSS 2.0 feed.